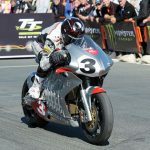 Earlier today, John McGuinness earned his 21st Isle of Man TT victory, claiming the top step in the TT Zero electric motorcycle race aboard the Mugen Shinden San. His single-lap race time of 19:17.300 means he averaged an astonishing 117.366 mph, destroying the existing lap record of 109.675 mph set last year by Michael Rutter aboard the MotoCzysz. Unfortunately, due to health reasons, the Michael Czysz could not field a team this year. 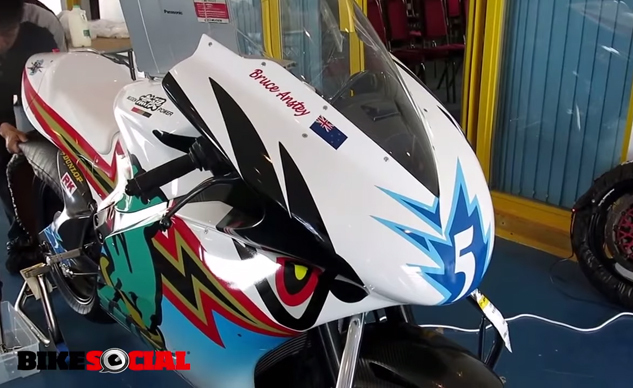 In this video, Mugen’s UK Project Manager, Colin Whittamore tells us more about the Shinden San during testing before the TT. 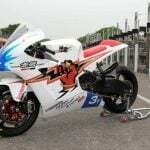 The details of the Shinden are quite spectacular, as, other than the obvious propulsion differences, the Shinden is equipped with MotoGP– or World Superbike-level components. 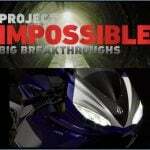 Check out the video below to see more.